Get the GCal events automatically synced in NutriAdmin (click here to learn more). Receive emails before the events automatically so that you don't miss them. Step 1: Go to https://www.google.com/calendar to open your Google Calendar account. Then, click on the cog icon to open the settings. Step 3: On the left-side pane, click on the name of your default calendar. In this case it's my own name, but perhaps your calendar will be called "Personal", "Work", or "Default Calendar". Typically the default calendar is the first one in the list. Step 4: Scroll down until you find the section for "event notifications". There you will be able to click the Add notification button to setup email and alert notifications 10 minutes prior to events you setup. You can choose other amounts of time, such as 30 minutes, 1 hour, etc. Step 5: That's it. Now you can test this out by clicking anywhere in your calendar to add an event as shown below. You can simply type the name of the event (e.g. reminder to pay internet bill) and press enter or click the save button. By default, you will now receive an email automatically ten minutes before this event you've created. This can be a practical way to keep your work and schedule organized, as the events will automatically link with NutriAdmin, and you will be able to setup reminders for yourself with ease. 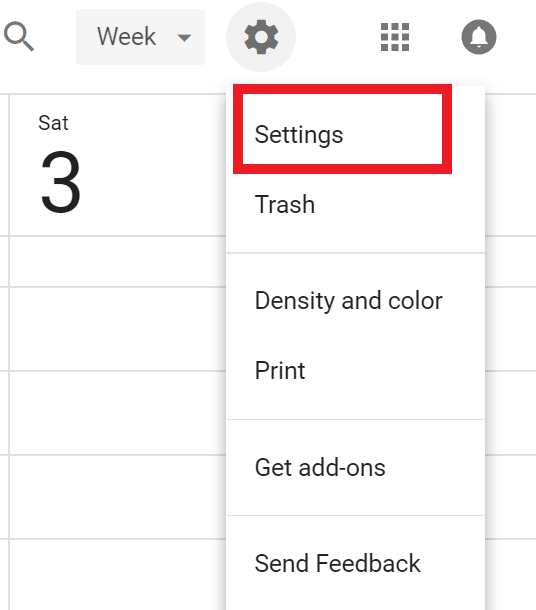 There are many ways in which you can customize your settings in Google calendar, so feel free to play around with all the options until you feel comfortable with your configuration.